StarLeaf made the 1.30.10 beta firmware available to us a couple of days ago. It has a couple of improvements which people might like to see. The previous home screen was a pretty boring affair. It was completely black and showed only the current meeting. 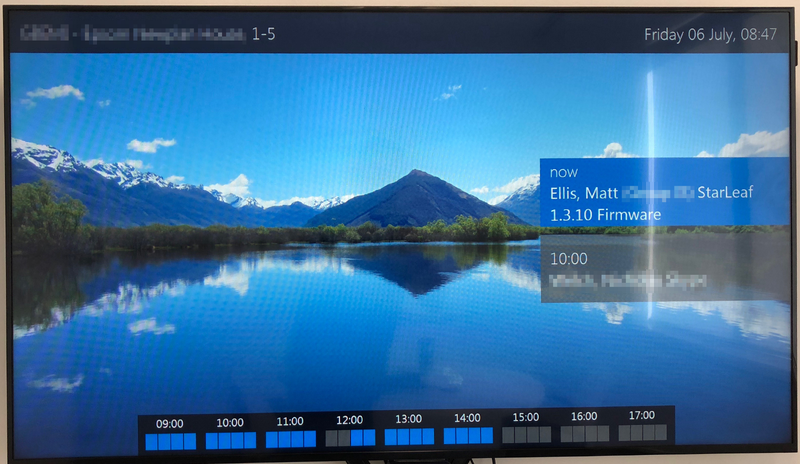 The new screen is quite pretty and shows a “now and next” on the right hand side as well as tidy ribbon at the bottom showing the availability of the room throughout the day from 0900 to 1800. I think this is a really nice touch. I’m told we will be able to change the time frame of the ribbon at the bottom and be able to customise the background in the next update scheduled for Q4. Up until now, it was only possible to see the current scheduled meeting in the room calendar on the touch panel. If you wanted to join a call scheduled for later you couldn’t and had to wait for it to appear. Additionally, the unit only displayed a meeting if it was a Skype meeting. So, the room might appear to be available if the person hadn’t added Skype details to their booking. 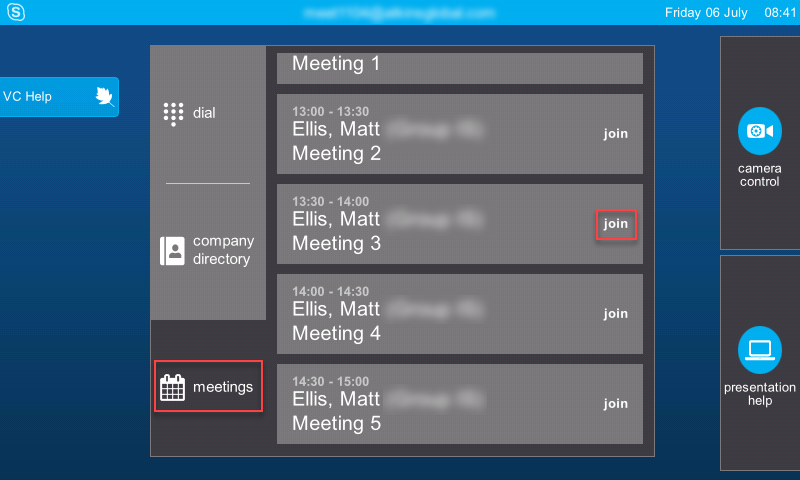 With 1.3.10 you now have the ability to see all the meetings scheduled for the rest of the day including non-Skype meetings. If the meeting is happening soon, you will see a “next meeting” button appear. If you click this it will take you to the meetings tab showing all the meetings scheduled for the day (up to 30). 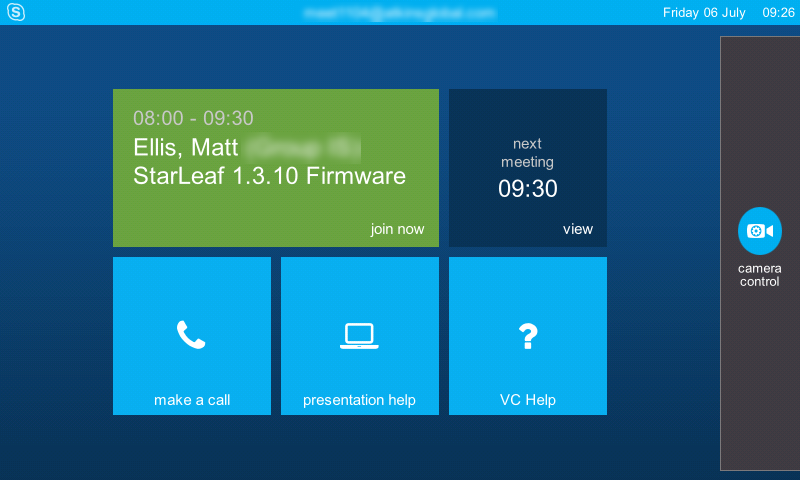 Alternatively, if you go to place a call, you will see a new meetings tab, which will show you the same screen. Pretty self-explanatory this one, but it caught us out a couple of times so it’s good to see that it’s fixed.